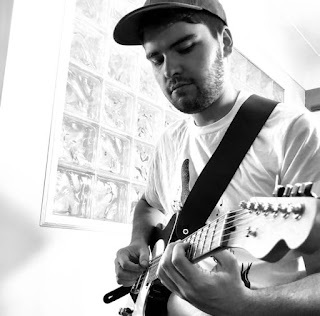 Dan Pitt is a guitarist, composer and improviser currently based in Toronto, Canada. Along with his formal education in music, Dan has an impressive 10 year background of private studies under the guidance of notable musicians/teachers such as Bob Shields, David Restivo, Geoff Young, Andrew Downing, Brad Shepik, Tony Malaby, Ben Monder and David Torn. Dan performs regularly throughout Toronto in a variety of music genres and ensembles. He leads his own creative improv group, Dan Pitt Trio, and is co-leader of the guitar drum duo, Prophets and Nomads as well as the improvising trio Everdream. Dan has performed with notable musicians such as Pat Collins, David Braid, Terry Promane, Lina Allemano, Tim Berne, Michael Attias and Michael Formanek. Dan also appears on recordings with various Canadian groups including Harrison Vetro's Northern Ranger, The Hamilton All Star Jazz Band and the University of Toronto 12tet. Dan holds a Bachelor of Music in Performance (Jazz) from the University of Toronto.